Maybe the subject of death isn’t exactly the more convenient to be in a music site mainly dedicated to female voices. People run away from suffering and sadness. Yet, they paradoxically feel attracted to it too. But this is something I have been thinking for some time now. I have read somewhere that the inevitability of our own death is one of the reasons why the human kind is so complicated. It works as a subconscious way of believing that they will live forever. This really makes sense to me. Because it is the only certain we have. The passing of Guido Osorio made me rethink this. Because our little post about his death is now the third most popular post on this new version of Music Is My Life – Divas And Other Beings. We had thousands of visitors per day. It reached the number 2 a few days after being published! We started the site on Blogspot, back in 2009. Since then, a lot had happened. There were several versions of it. Now we have The Real Music Divas on our own domain. Unfortunately, during the last seven years, lots of artists had died. It is part of life, after all. Today, the 21st of April 2016, we are adding Prince Rogers Nelson(57) to this list. I could also include some impact of Amy Winehouse (27), Lou Reed (71) and David Bowie`s (69) passings, but there weren’t huge reactions of our readers to their passings, on the site.Because they do not fit exactly on the Divas theme, I am not sure. I was using Twitter. It was where I first read something that was a rumour about Michael Jackson being dead. Soon, it was being confirmed, and the news spread on TV and all social networks. The net was flooded by new mixes and megamixes on Michael`s work. it was an oasis to all his fans. My question is: why didn’t all this happen when he was alive? Why the need to be dead to gain recognition again, and to be trending all around the world? The same happened with the deaths of Whitney and Donna Summer. How could Donna have kept a secret of his illness? 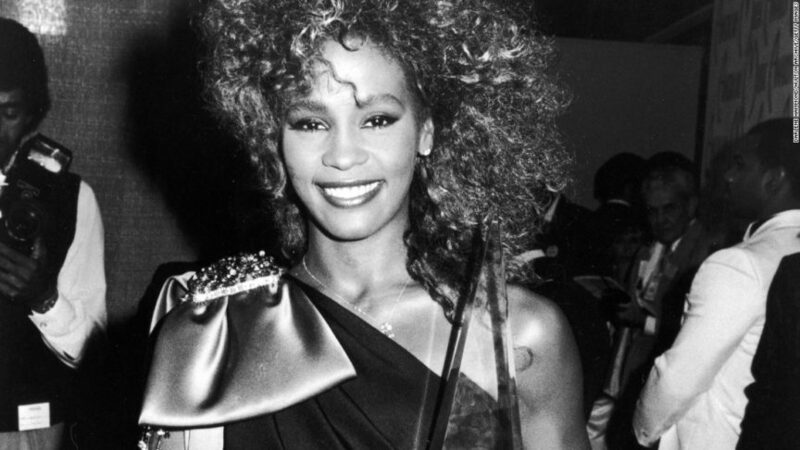 And…did Whitney commit suicide? Again, music producers started creating his remixes on these ladies songs. For almost one month, it was as nothing else existed, besides these artists. And again, we are talking of artists that weren’t receiving all the attention they were deserving in life. I myself had created lots of posts focusing on Michael, Whitney and Donna. On one hand, it seemed that was the only interest of the readers and my own; on the other hand, there was always something new appearing . It was morbidly fascinating. Besides focusing on THE Divas. The Real Music Divas always had its focus also on Deejays/Music Producers. We can even say Divas and DJs and the two main branches of the site, as far as its content is concerned. It has been such a fascinating journey, I must confess. I love being a Clinical psychologist, But I still have this desire of being a Dj. I still see myself playing some music to others and making them happier. So, these seven years have been great because I am having the honour of “knowing” (mainly through Social Media) a huge number of music producers. It really is a pleasure to me. Peter Rauhofer and Guido Osorio were two of them. I even created a compilation on Peter`s work, with TvSeries artwork. With Peter`s knowledge and acceptance. It is called Peter Rauhofer Is Working, Volume 1 (March 2010). The passing of Peter Rauhofer, Frankie Knuckles and Guido Osorio were devastating to our readers. Three legends that were gone too soon. Three references. I had this little article written two months ago. I had never had the courage to finish nor publish it. It seems that words are never enough. English is not my mother tongue either. Today, I am 46 years old. I start to face and think about my own mortality. The passing of all these legends makes us face our own end. And to think on the purpose of our lives. Wherever you all are, a big thank you for making our lives better and lighter. I am now listening to “Thunder”, a song that is part of “Diamonds And Pearls” Album by Prince. My heart is aching while I write these words. I am not happy with what I have written. Please, just interpret this as a small tribute and maybe some self-therapy. Thank you once again. Do not forget to live your life. Be happy.